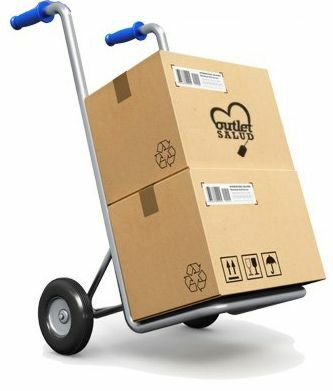 In OutletSalud.com we follow a transparent policy of shipping prices based on the weight of the goods ordered. The system calculates the weight of the items and produces the shipping and handling costs based on the weight.You will be able to view prices of all transport companies we work with during the ordering process and choose the one that suits you the best. Our main transport company is currently SEUR, which makes deliveries in 24 hours throughout the Iberian Peninsula (including Portugal, Andorra and Gibraltar). In addition, the system will offer alternatives with different types of services for you to choose the one that suits you. Cash-on-delivery payment is not supported by any carrier. All shipments are sent using the company SEUR. Excepcionally, some shipments could me made using the Spanish Post Office parcel service. SEUR track packages via SMS, so it is very important that you indicate correctly your mobile number when you register. 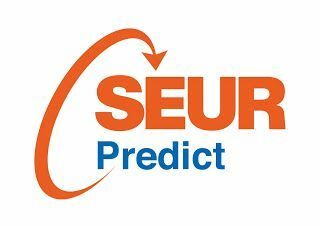 SEUR can contact you if you are not at home, but they also can also alert you before delivery so you know you are going to receive your parcel. This service is absolutely free to our customers. All our packages are insured up to the full value of the goods. Insurance is included in the price. In the unlikely event that a package would arrive damaged, please tell the driver, indicate it on the waybill before signing, and let us know as soon as possible to proceed with the change. The contracted service is 24 hours. Any orders placed before 6 pm (Spanish time) will be delivered the next day in mainland Spain, Gibraltar, Andorra and Portugal. Shipments to Mallorca take 48 hours and 72 hours for the rest of the Balearic Islands. Shipments to the Canary Islands can take up to seven days and are subject to customs clearance from the buyer. International shipments have varying lead times ranging from 48 to 96 hours, depending on the area. OutletSalud is registered in the Official Register of Approved Exporters. Therefore, orders the Canary Islands, Ceuta and Melilla do not include VAT. Also, we do not charge for D.U.A*. export for orders to the Canary Islands (BOE Nº176: Resolution of July 11, 2014, from Customs and Excise Department of the Spanish Tax Agency, in which the instructions are gathered for the formalization of the D.U.A. (S.A.D. in English: Single Administrative Document)). OutletSalud only charge you the shipping if your order is not likely to bring free postage (if your order is up to 49€, we do not charge you for shipping). However, you should note that on arrival in the Canary Islands, your package will be processed at Customs and you will have to pay the IGIC and management of import DUA. If you do the procedure at Customs personally (you can do it online), the only cost to you will be the IGIC payment. On the contrary, if you give authorization to Correos to perform the procedure for you, Correos will charge you for the management of D.U.A. import. Note that this is not a charge from OutletSalud, but is Correos that ask you to pay. The exemption of export D.U.A. is not applicable for shipments toCeuta and Melilla. All our packages are insured up to the full value of the goods. Area 1: France and Monaco. Area 3: Austria, Belgium, United Kingdom and Luxembourg. Area 4: Italy and Holland. Area 5: Czech Rep., Denmark, Hungary and Poland. Area 6: Bulgaria, Estonia, Finland, Greece, Ireland, Lithuania, Latvia and Sweden. Area 7: Croatia, Romania, Slovenia and Slovakia. Area 8: San Marino, Switzerland*, Norway*, Serbia*, Bosnia-Herzegovina*. To place an order for a country or area that is not on this list, please contact us sending an email to info@outletsalud.com. For any package you wish to return, either in exercise of the right of withdrawal or the product's warranty, you must use the contact form on the web. Shipping costs will be borne by you except in cases of non-conformity of the product with the contract. We advise you to protect your (s) Item (s), since in case of returns in exercise of his right of withdrawal, or failures or defects that are not covered by the legal guarantee of conformity, you are responsible for any damages he suffered (n) during transport.During the period covered by extended warranties, if any, the customer must return the product to the SPV OutletSalud. We only accept products that are in perfect condition, with all accessories, instruction manuals and original packaging. If they miss any your product will be returned to your home with a note indicating the missing. We reject all packets sent to the head office of OutletSalud. You are not allowed to return foods once opened unless these were found wrong at the time of its opening.